A donation of rice from Taiwan has come under fire from the productive sector. 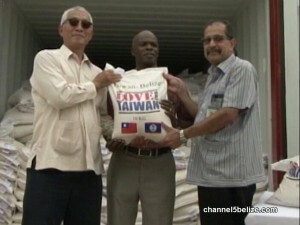 The ten thousand sacks of grain were delivered on August twenty-second to the Minister of Human Development, Anthony Martinez after the three-day visit of President Tsai Ing-Wen. The Taiwanese president was feted at a state dinner, addressed the national assembly and was given the Order of Belize. A release from the Belize Agro-productive Sector Group first acknowledges the support from Taiwan to the agriculture sector over the years. But they express concern that the recent rice donation can be counterproductive and negatively impact the sector. According to a release, while the donated rice may appear to represent a small amount of local annual consumption, it can potentially open the door to further donations and the importation of more rice and other locally produced commodities which can affect local producers. If the industry had been consulted, the relevant parties would have learnt that there is a substantial surplus of rice stored locally, with additional harvesting about to take place. The agro producers also make the point that there is a surplus for three years now and the locally produced premium rice would have been significantly cheaper. The money associated with the donation, could have been used to purchase up to one and a half times the amount of locally produced rice. 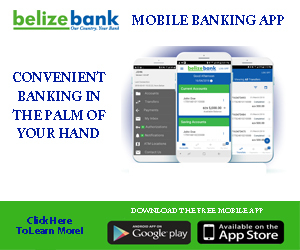 The organization also wants to be consulted on any importations or donations of agricultural commodities that are locally produced in Belize.